Their mission- CHADS saves lives by advancing the awareness and prevention of depression and suicide. Kids in Saint Louis are taking initiative to put an end to suicide with Kids Walking for Kids, an annual event interested in promoting this cause. 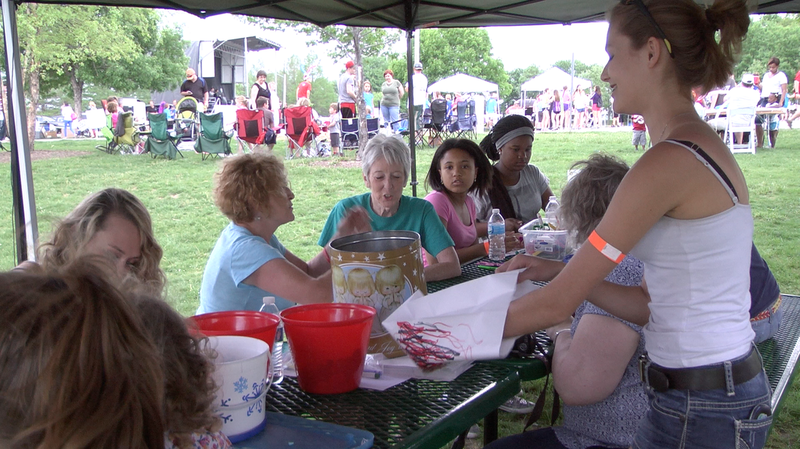 The event was on May 10 at Creve Coeur Park and it was sponsored by Communities Healing Adolescent Depression and Suicide, or CHADS, which strives to advance the awareness and prevention of suicide and depression. “Kids Walking for Kids started as a way to celebrate hope but also as a way to memorialize the kids in St. Louis that we’ve lost to suicide and their families who we’ve become friends with because of the work we do,” CHADS Bullying Prevention Project coordinator Mark Norwine said. Kids Walking for Kids is the Midwest’s largest mental health fair. At the end of the night there was a slideshow put together in memory of teens who have committed suicide. Throughout the night people decorated white paper bags in commemoration of these teens. At sundown, CHADS officials put candles inside of the bags and lined them up along the sidewalk, next to the lake. Then, people at the event walked along the sidewalk in silence, to remember these kids. After the luminary walk, there was a large fireworks display over Creve Coeur Lake. In addition to these sentimental features, there were lots of fun activities for kids and teens throughout the night. This kid-friendly event lasted from 6-9 p.m. complete with a DJ, frisbee, hula hooping, washers, tie dye shirts, crafts, food for purchase, and balloons. Among the people who attended this event, were several Ladue teens, members of “Students Helping Students,” one of the newest clubs at the school. This club is interested in being allies to members of the student body who feel alienated. Sophomores Luna Spring and Chavonni Meeks, and juniors Nora Christeson and Howard were present at the event. Spring said the event was very fun and found that the cause meant a lot to her.